We are 75 miles east of Atlanta’s Hartsfield-Jackson airport. Use the embedded map to find directions from your location. 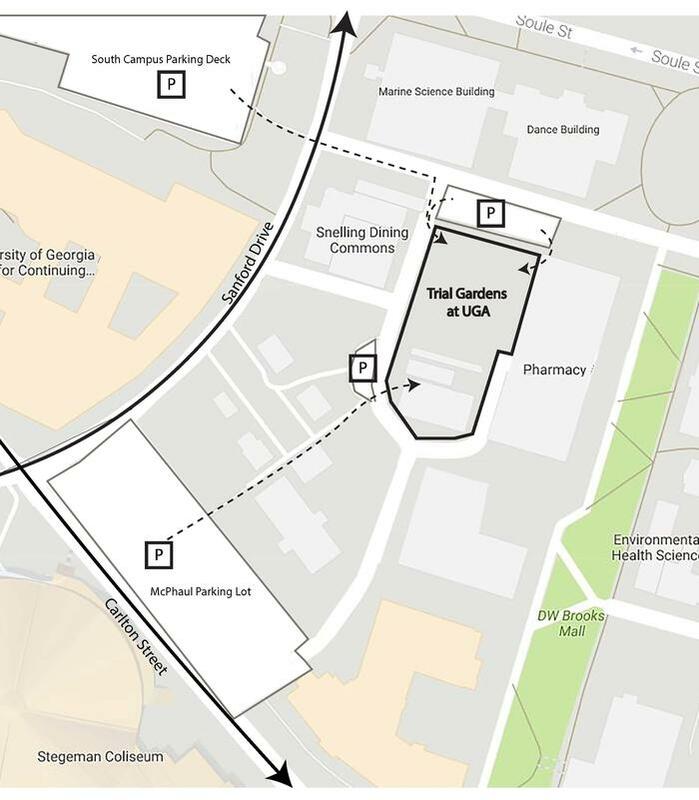 We are located behind the Science Learning Center, and in-between the UGA College of Pharmacy and Snelling Dining commons. If you’re taking the UGA bus or Athens Transit, get off at the stop for the Georgia Center. Weekdays: There is per-hour parking at the nearby South Campus parking deck (in front of Snelling). Weekends: All lots surrounding the garden are free.